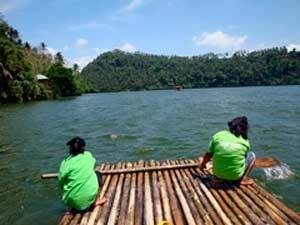 A group of oarswomen from San Pablo, Laguna is doing a great job for their family and community. I’ve read from a friend’s blog that oarswomen in Pandin have organized themselves to support the lake and promote local tourism through guided Pandin Lake Tour. I heard none of them even took business course or online business degree to be good at what they are doing now. The women who are mostly mommies are spending their time wisely. Instead of playing card games at home (as told by the blogger), they help their husbands support their livelihood. Even if they never finished school or took up any online business degree, they managed to sustain a source of income enough to buy food for their family and send their kids to school. The women of Pandin Lake are truly admirable. It only takes the support of family and community to help increase the number of empowered women like them. Kudos to the women of Pandin Lake!! This entry was posted in Job Potential, Tourists destination and tagged oarswomen of lake pandin, Pandin Lake on July 5, 2011 by Yami. Yan ang Pinay!!! They’re not only helping their family, they’re also contributing to their own community as well.